This was an incredible retreat. Doug gave us tons and tons of information, but it was so skillfully delivered that it was easy to take in and use. This retreat is having a profound effect on my daily practice. I am so motivated to meditate now! I would highly this retreat with Doug! Inner Stillness Wow. Deep inside, witnessing the appearance and disappearance of grasping. 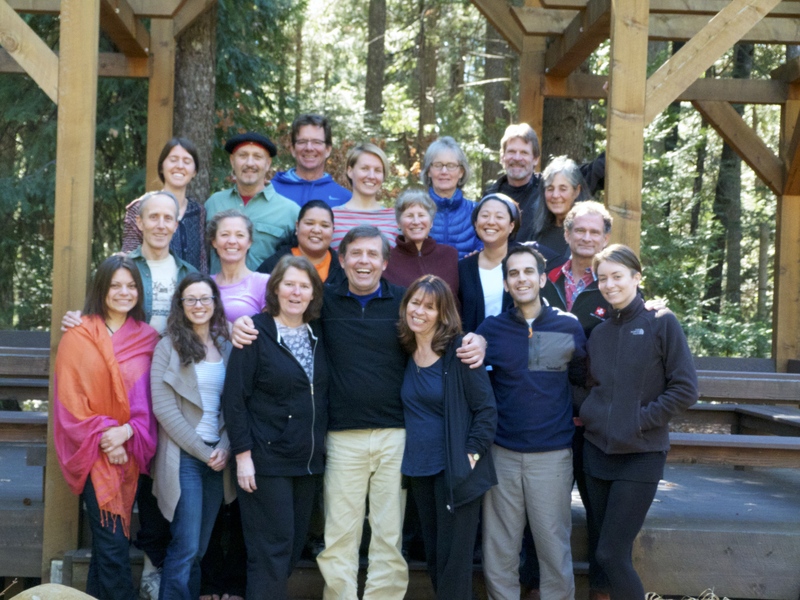 The mind’s labels rolling out the world…….this retreat was amazing. Never been so deep inside, while surrounded by a circle of friends. Until next time, just hoping to Keep ‘er between the ditches! This retreat was my first experience with 9-days of silent meditation. It refreshed my senses and gave me a deep appreciation of what I value most in life. It was the most precious gift I could give to myself prior to my wedding in June. It also demonstrated the mind’s inherent potential to heal itself. No one said it is an easy task, but it is possible to experience relief from common conditions that plague us all from time to time – depression, anxiety, insomnia, chronic pain and stress to name a few. If you are fortunate enough to be free of such suffering, the training of your attention has many other benefits to both you and those around you. I walked away from the retreat with an intention to be more present with those around me in order to be a better daughter, sister, teacher, friend, manager, wife and perhaps one day parent. Doug is a phenomenal teacher and example of the rewards of this path. His wisdom runs deep. This was so instrumental to my evolution. How great to be able to relax at a moments notice. How great to be able to clear the subconscious and let the junk in the trunk go. How great to be aware of what the mind is doing! The greatest gift, however, is learning have some control over the mind and to not get so attached to the constant parade of thoughts that run through it. I am practicing daily now and can see how this learned mindfulness bleeds into everyday life. Perfect! This retreat was the most important thing i’ve done in years, not just for me, but for my family and those around me. Everybody benefits! Can’t thank you enough, Doug!